The wool pocket square has an obvious place in the fall wardrobe but in lighter colors, the wool pocket square is also perfect for spring occasions. The dull surface gives a casual outlook to your outfit. Match the wool pocket square with a linen blazer or woolen suit. 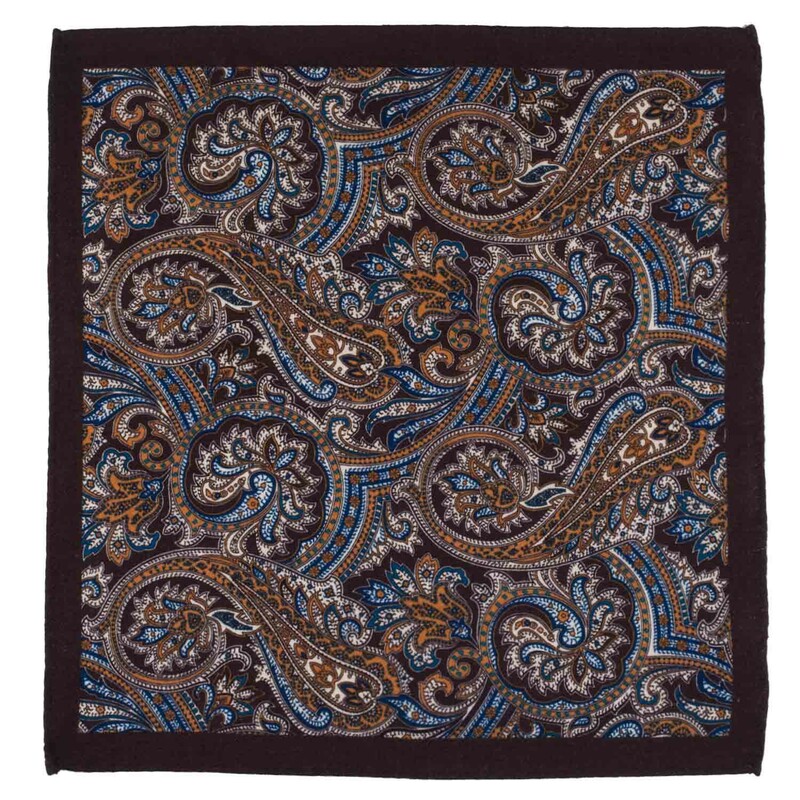 The wool pocket square fabric’s thickness makes it perfect for all kinds of folds. No look is complete without a pocket square. With a rich array of colours, patterns and materials, we have assembled a collection full of options for every personal style and occasion. Wash Care: Dry Clean Only.
" Amazing collection, Value for Money with High Quality standards, thetiehub is the only & final destination for me to shop for all my accessories, A must must...	"
" I blame you for my addiction to the tie Mr. tie hub........ but yes, I really amazed with the quality of fabric & beautiful decent colours....just love your...	"
" Amazing collection of ties and cuff-links. Well crafted and artistically designed. Easy to shop on their website and reliable delivery time frame. Thanks for rushing out my last order before time as promised. Good Job Tie Hub...	"
" It is all about men fashion. The latest accessories that would adorn with any occasion be it wedding, formal party or business meet. The collection is trendy keeping in mind today's fashion culture. Prompt service and delivery on time. What can be easier than buying at Tie Hub, for all men who do...	"
" I cannot say enough amazing things about The Tie Hub!! They have an incredible variety of ties and other accessories under one roof. Everything I've ordered has been top notch. They're excellent quality and they're sharp fashions. A perfect shopping experience with prompt delivery. Very highly...	"
" The Tie Hub has not compromised with the product quality and the neck tie looks premium. Also the packing and delivery of the product was very good. I would recommend everyone who are looking for affordable Neck ties and don't want to compromise with...	"
" good seller excellent delivery time HIGHLY RECOMMENDED...	"
" worth buying cufflinks ,value for money delivery excellent as always cufflinks design great...	"